Pro-democracy protesters shout slogans at police officers (not seen) as they retreat from a street in the Mongkok district of Hong Kong on November 26, 2014. 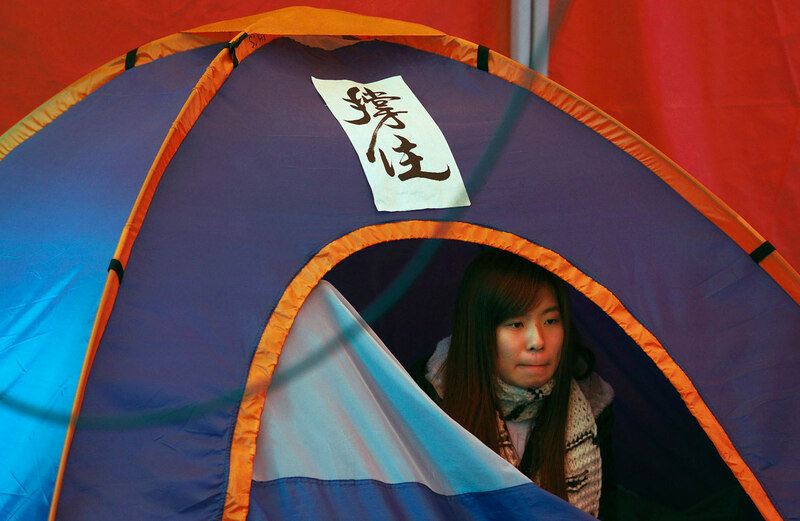 She remains defiant in her hunger strike, while some of the other young leaders of the Occupy Central protest movement in Hong Kong have already given up. 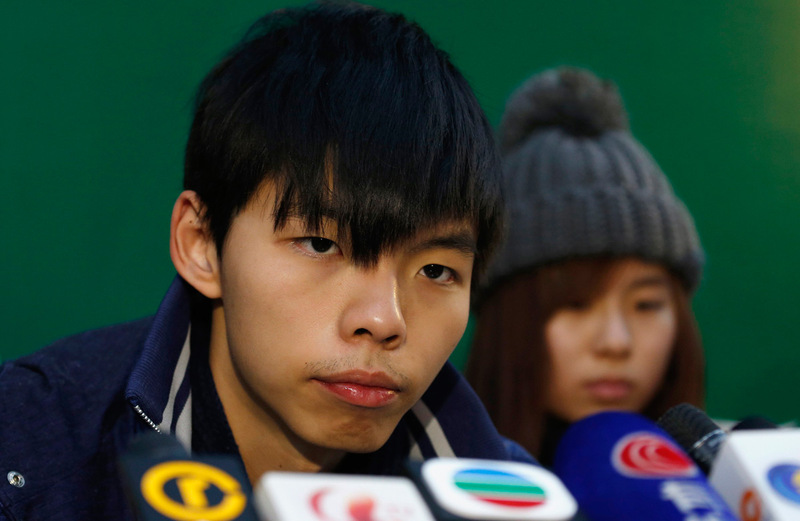 Even the face of the protests, student activist group Scholarism's Joshua Wong, has thrown in the towel after 107 hours without food. 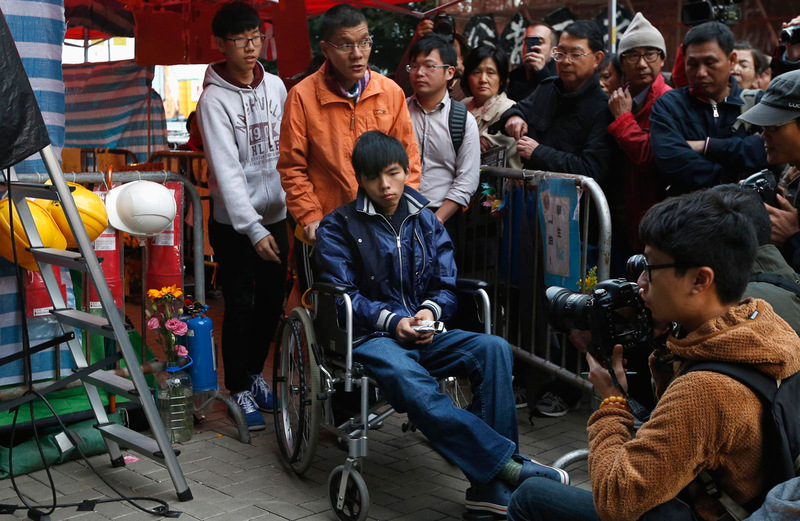 But Miss Gloria Cheng, who was into her sixth day without food yesterday, said she had no intentions of giving up just yet. 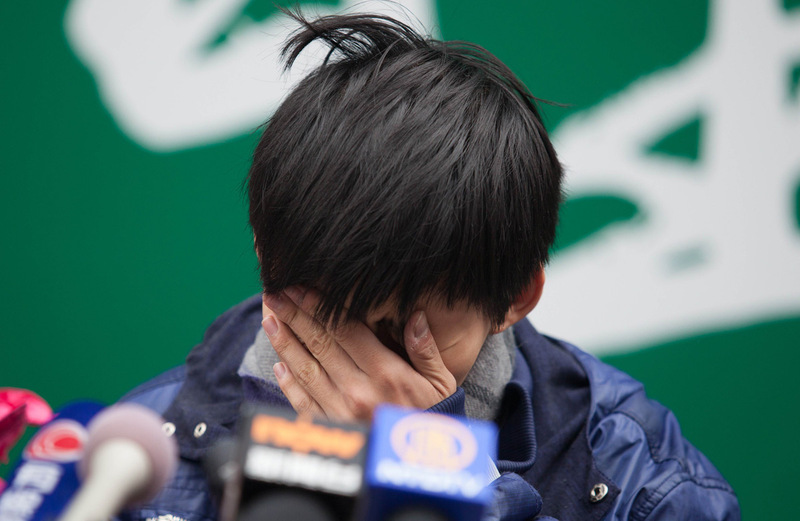 In a phone interview, the 21-year-old Chinese University student told The New Paper: "My body's not in a good condition, but I'm in high spirits. "I would like people around the world, including Singaporeans, to know that we're going on a hunger strike to strive for a more equal electoral system." Miss Cheng, who started her hunger strike at 10.30pm last Wednesday, said she was proud to have the support of her parents, who have visited her at the Legislative Council building. 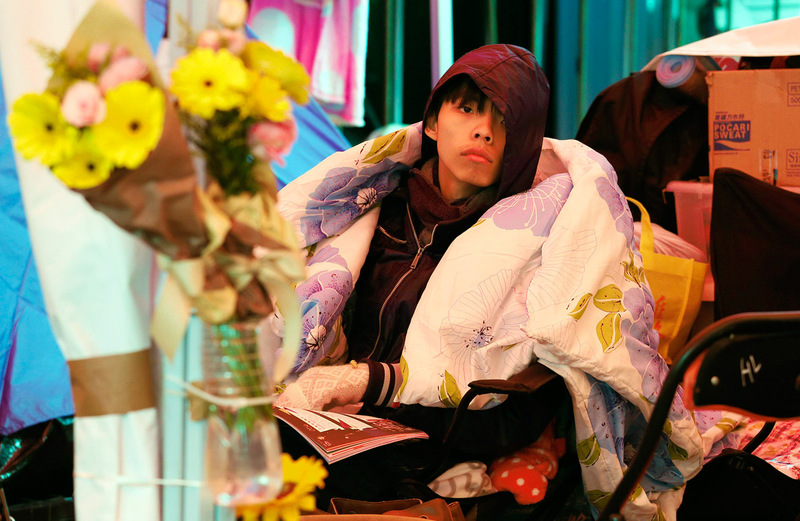 The extreme move has taken a huge physical toll on the hunger strikers. 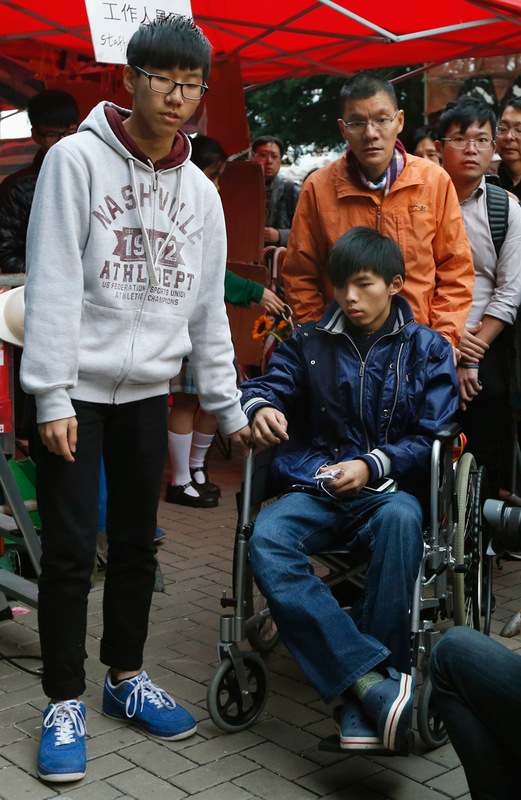 Mr Wong, 18; Miss Isabelle Lo, 18; and Prince Wong, 17, began their hunger protests on the night of Dec 1, but have since stopped and had to be taken to hospital. 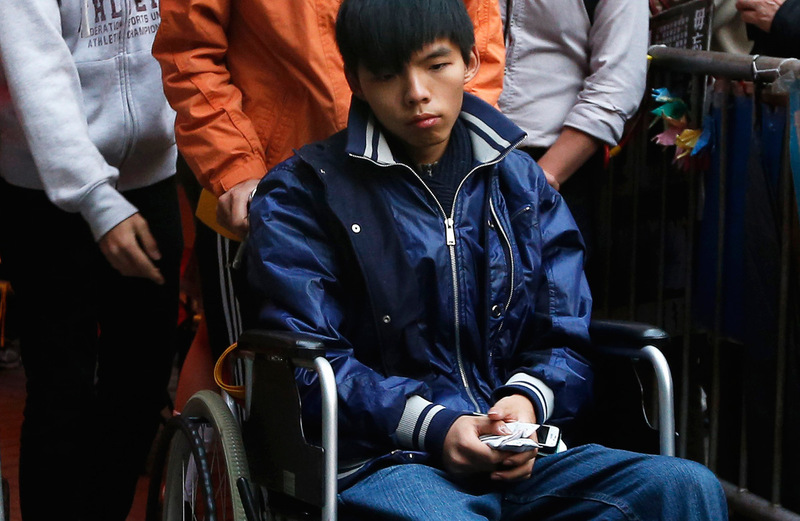 Only Miss Cheng and 20-year-old Eddie Ng, who is also from Scholarism, are continuing to go without food. Miss Cheng described the effects on her body: "I've lost about 4kg. My arms and legs have no more strength, and I'm waking up unusually early. "My pulse rate exceeds the normal rate of 100 beats a minute, and my blood glucose level is around 3.5 mmol/L, which is lower than the average of 5 to 6mmol/L. "But I try to keep to my normal routine - study, face the press, go to the stage for a talk, drink some water, catch some sleep, have meetings." 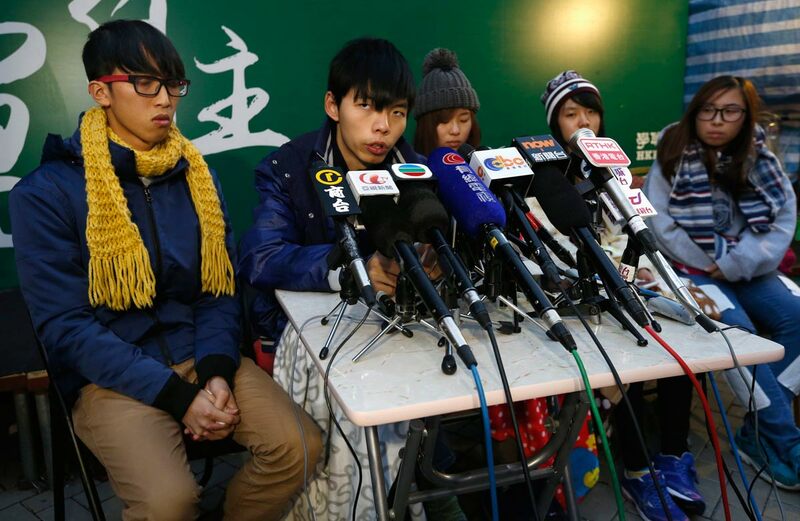 Miss Cheng draws inspiration from a similar hunger strike in 2012, when three students began a 50-hour hunger strike against the compulsory introduction of moral and national education. 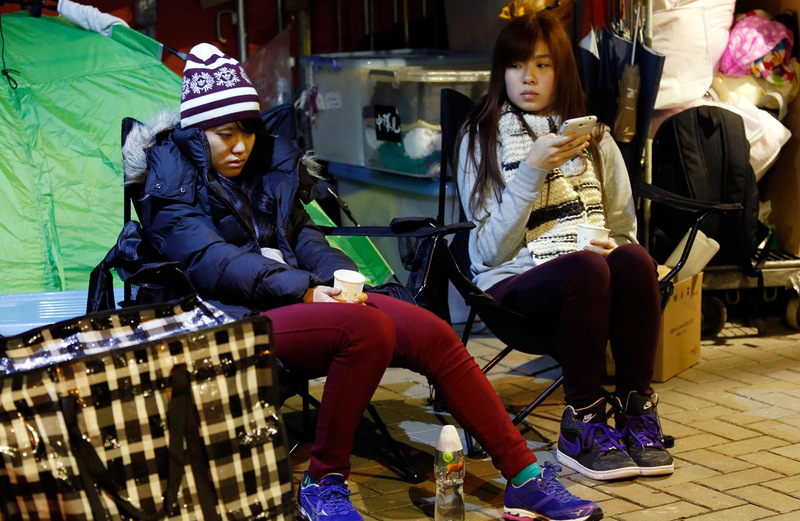 The Hong Kong government then backed down and changed it to a three-year trial period. Miss Cheng, a government and public administration undergraduate, said: "I believe without this push, the movement may be forced to end. So I have to join in or else the past two months would have been in vain. "I know that many people may not be in favour of the hunger strike, but I think at this stage, we cannot measure its usefulness. "Over the past two months, we have been very tired. We have begun to lose hope and don't know what else we can do. 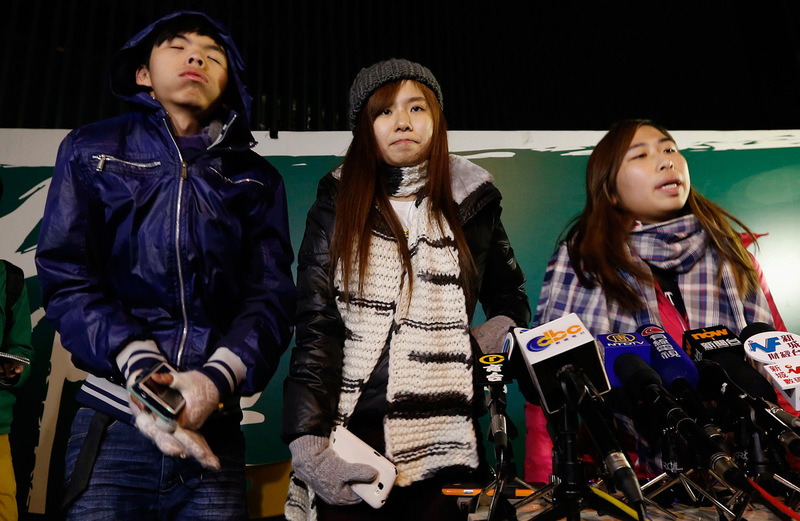 I don't want to end this Occupy movement without achieving anything." 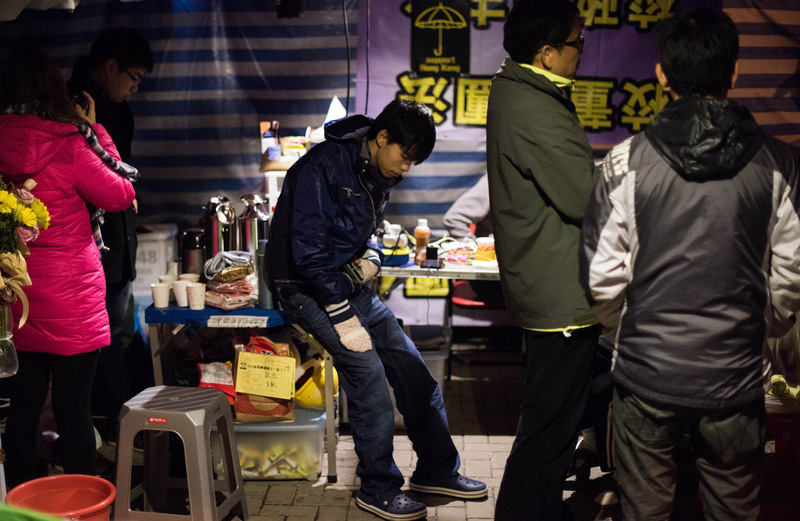 The movement is well into its 10th week, but the Hong Kong government remains unmoved by the protesters' demands for universal suffrage for the 2017 elections. 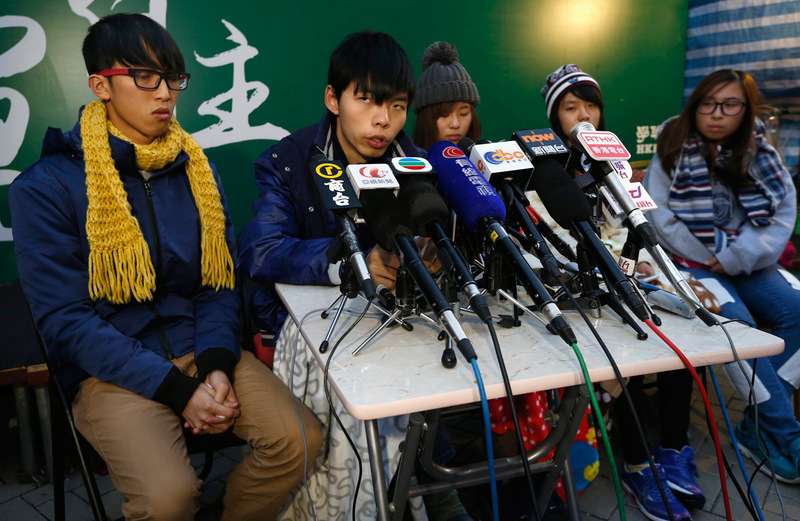 Speaking to the press last Wednesday, Chief Executive Leung Chun Ying described the hunger strike as "pointless". A statement released by the government later said: "Any discussion relating to constitutional reform must comply with the Basic Law and National People's Congress Standing Committee decisions." Since Sunday night, the hunger strike has escalated into a "relay", with two people fasting in rotation every 28 hours.